Life Insurance after Heart Attack | What Does It Cost? A heart attack is a terrible experience for the person who has one and for that person’s loved ones. There are many reasons why you could suffer a heart attack, from inherited heart disease, stress or an unhealthy lifestyle. If this isn’t bad enough, after you have a heart attack, you face another challenge – how can you get life insurance at a good rate? A heart attack impacts your insurance rates, but despite a common myth that if a person has a heart attack it’s difficult or impossible to be insured, it is possible to get a life insurance policy, and the rates are not always that high. The rates for term life insurance after a heart attack are based in particular on a number of factors that we will review in detail in the next paragraph. At this stage, you need to understand that a heart attack pre-condition can be classified either as light, average or serious. Depending on that, your premiums will vary. Here is an example for life insurance rates after a heart attack for non-smokers. Monthly rates for men who are 35 years old can range between ~$20 and ~$60; monthly rates for men who are 50 years old can range between ~$70 and ~$200. Monthly rates for women who are 35 years old can range between ~$20 and ~$50; monthly rates for women who are 50 years old can range between ~$50 and ~$150. Below you will see life insurance rates for smokers. An experienced broker can help you to get life insurance after a heart attack. Timing of your last heart attack: The further back your last heart attack, the better it is – it means that your current state is stable and less risky in the eyes of an insurer. 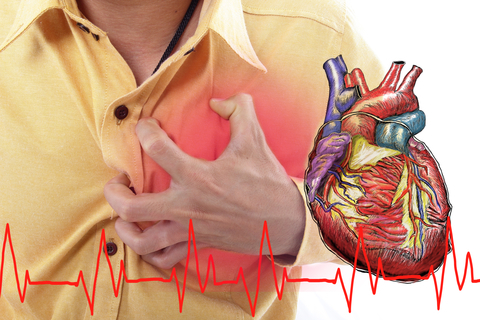 Reasonable build: Many heart attack cases lead back to an unhealthy way of life (e.g. too much sitting, sedentary lifestyle, not playing sports and eating foods high in fat, simple carbohydrates and sugar). Many of those aspects (together with some chronic diseases) are reflected in your build, thus having a reasonable build typically paints a more positive picture for insurers. Normally they use a BMI (Body Mass Index) chart to determine your build and fitness. Find out more about BMI from our glossary. Non-smoker: Smoking is one of the largest contributors to heat attack statistics. No wonder that insurance companies see your case with far more positively if you do not smoke. Our next chapter will familiarize you with life insurance rates for smokers after a heart attack. If you are interested in this topic, you can connect with an experienced insurance broker to discuss your heart attack case, or the case of a friend or family member. Monthly rates for male smokers who are 35 years old can range between ~$50 and ~$130, while monthly rates for male smokers who are 50 years old can range between ~$180 and ~$520. Monthly rates for female smokers who are 35 years old can range between ~$40 and ~$100, while monthly rates for female smokers who are 50 years old can range between ~$110 and ~$300. An experienced broker can help you get a life insurance after a heart attack. In some cases, even traditional life insurance can be considered if you have had a heart attack, but some cases are much more serious, e.g. very recent heart attacks. It doesn’t mean, though, that you can’t be insured. Depending on the severity of your pre-condition, two types of policies are available. Guaranteed issue life insurance: While costly, guaranteed issue life insurance cannot be denied and you are not required to answer any medical questions or undergo any medical tests. The coverage is limited to $25,000, but the benefit greatly reduces the financial strain of treatment and final costs. When you compare medical and funeral costs against not having coverage, you’ll often find that guaranteed issue life insurance premiums costs less than the financial burden of not having coverage (e.g. insurance for funeral costs). Simplified issue life insurance: With this type of insurance you answer a short questionnaire, but you do not take any medical tests. The coverage is usually limited to $300,000. Premiums for simplified issue life insurance are higher than standard policies, but as mentioned above, even limited coverage goes a very long way in averting financial ruin. This overview will provide more details about different life insurance coverage types. An experienced life insurance broker will help you get a life insurance quote for your heart attack case, and will find the best quote for your situation. Instead of making calls and checking out reviews on multiple insurance providers, a broker does all the shopping around for you. Brokers, unlike captive agents, are not tied to just one company, which enables them to give you an unbiased rate and have access to many more policy options. Using a broker does not cost you anything! Brokers are paid via commissions on the products they sell. Let us connect you with an experienced life insurance broker to get a quote tailored to your situation. Here is more information on life insurance and diabetes, life insurance and HIV/AIDS, life insurance and cancer, life insurance and multiple sclerosis, and life insurance and depression. Our infographic of life insurance and pre-conditions provides a detailed overview across numerous pre-conditions and your ability to get life insurance. Why Share Consumer Life Insurance Reviews? Participate and Win Great Prizes!